The comparison of Parts or Products in CATIA it is a very simple procedure, but save much time to see the differences between one version of a part and another. It is very useful for all of us when we have a job that needs to see the modification of parts. 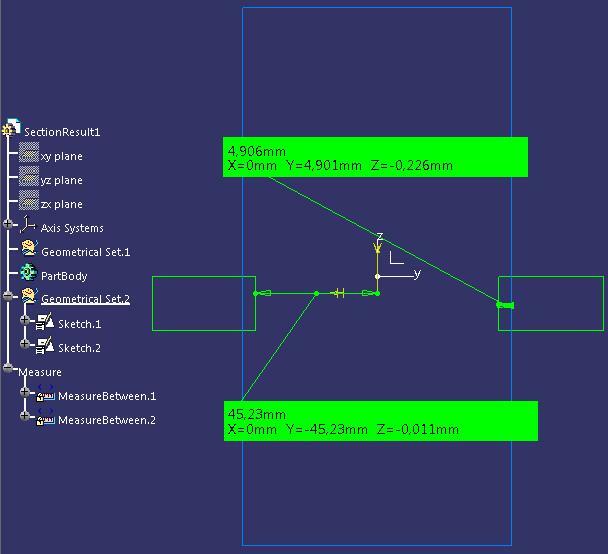 To make a comparison in CATIA V5 you should use DMU Space Analysis module that is available in Digital Mockup. 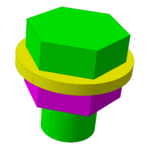 You should Open 2 or more parts in one assembly created before, or just switch between Assembly Design and DMU Space Analysis. The command that we use to do the comparison is named Compare Products. When you click on the command you’ll see the below windows. You must select the Old Version and the New Version, click Preview to start the comparison. 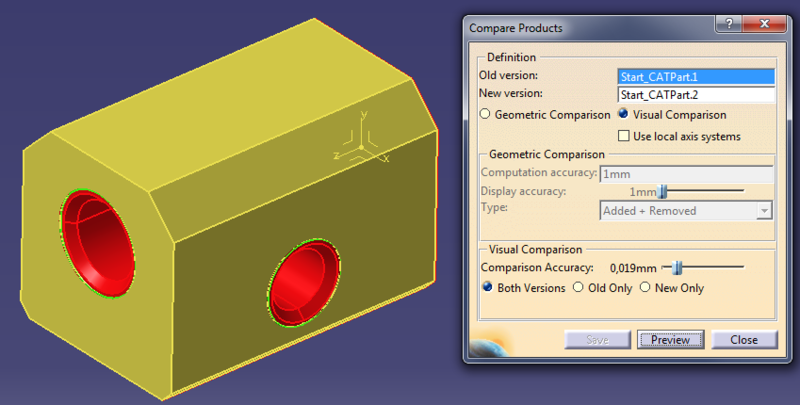 After selection of parts, you can select 2 different comparison methods to see the differences, Geometric or Visual. Always, I prefer the Geometric method, because is more accurate and more easy to find the differences. The Comparison accuracy corresponds to the minimum distance between two products beyond which products are considered different. A higher value gives a cleaner image. As you can see, the green area is no longer detected at the higher setting: it is no longer considered different. The default value (0.4 mm) is twice the default sag value for calculating tessellation on objects. Sag (3D fixed accuracy) is set in the Performances tab of Tools -> Options -> General -> Display. The default comparison accuracy is the recommended value for visual comparison. 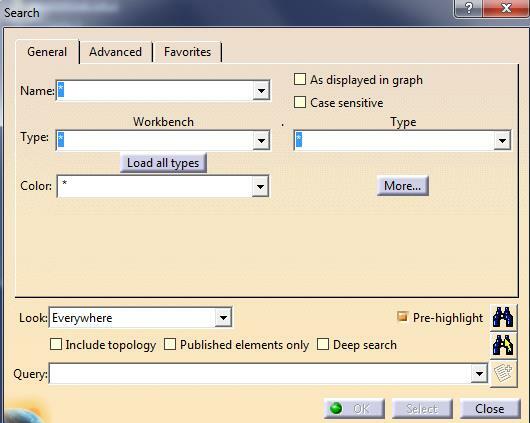 Read next article to find out how to compare 2D in CATIA V5. Is there a way to do this with multiple drawings (more than 2) and if not is there a way to correct the pixilation of just a 2 drawings comparison? You can use the module Digital Mockup -> DMU 2D Viewer using command 2D compare.